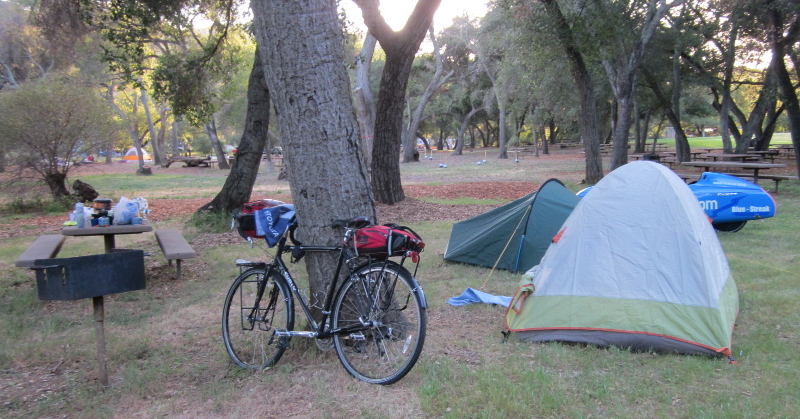 Paul and I hatched a plan about a month ago to do an overnight bicycle camping trip. Paul arrived at my house shortly before 9:00 AM Saturday morning, raring to go. I was excited too. This was a test for equipment and practices. 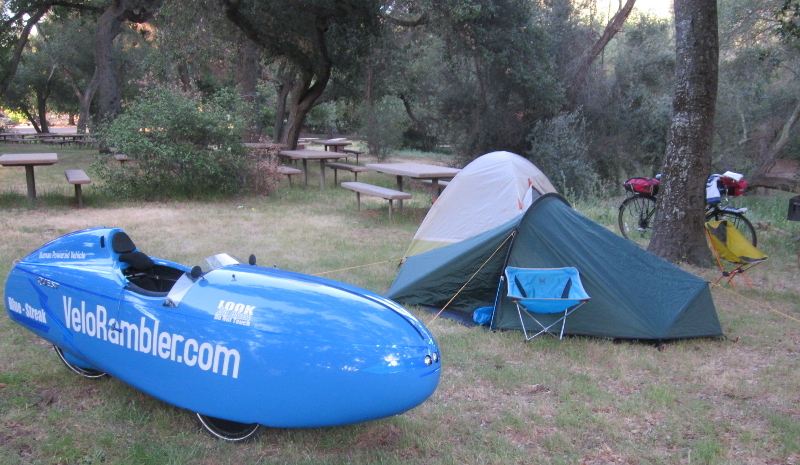 I have new camping equipment pared down to fit inside the velomobile. I have replaced a big part of my kit from last season. I have a better stove and bigger cook kit of titanium. 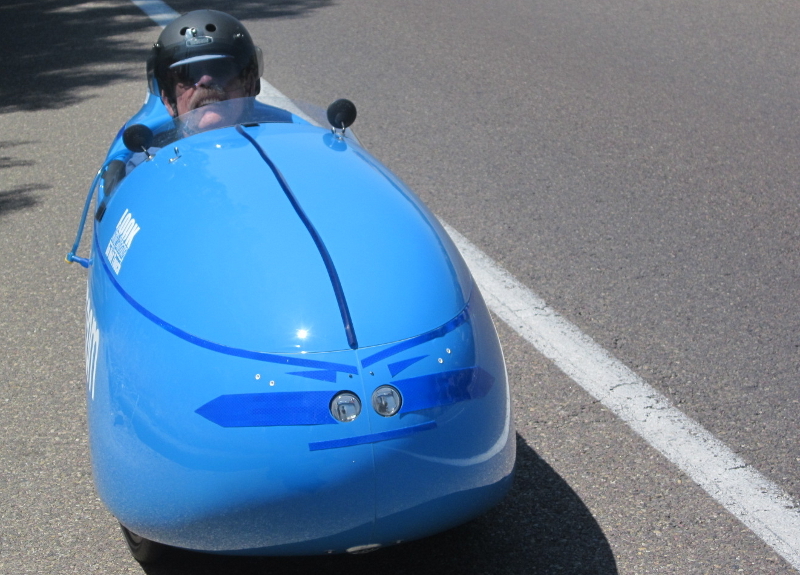 I t was also my first camping trip in the velomobile. I was anxious to test it all out. And of course search for flaws and work on camping skills. My estimate was that it was only 18 miles to the campground and even though there is almost a thousand foot of climb, we would probably arrive around noon. We after noon but before one. Our plan was to leave about 10:00 AM, and the weather was predicted to be a balmy 72 degrees with an overnight low about 47. Sounded like near perfect weather. I sleep well in cool weather and the Quest is aerodynamic which also means there is almost no air over my body, making it warm. The velorambler ready to head off for another camping adventure. Could barely lift the rear with the convenience handle, because of the camping gear loaded in the tail. After a little over an hour we arrived at our first big summit. 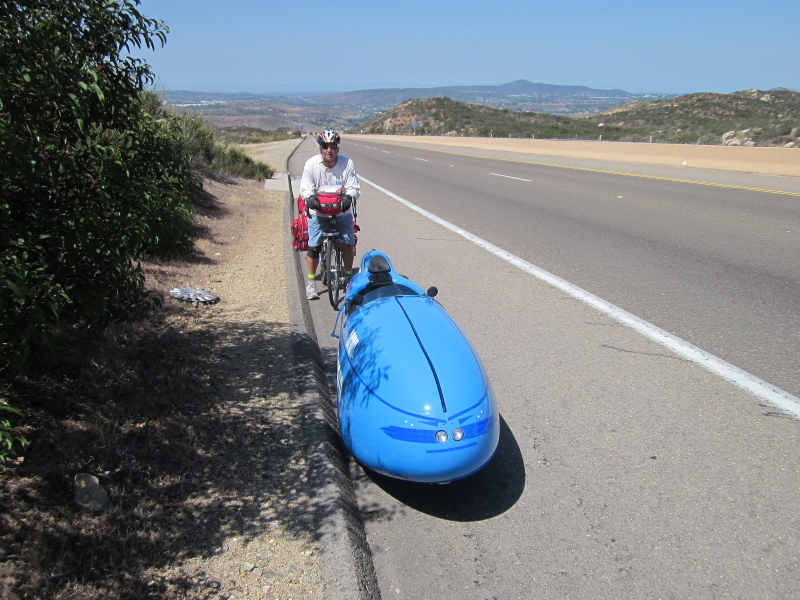 The Scripps-Poway Parkway and Highway 67 is about 500 feet higher than home, where we started. Although I’ve ridden it before I haven’t ridden in the Quest. 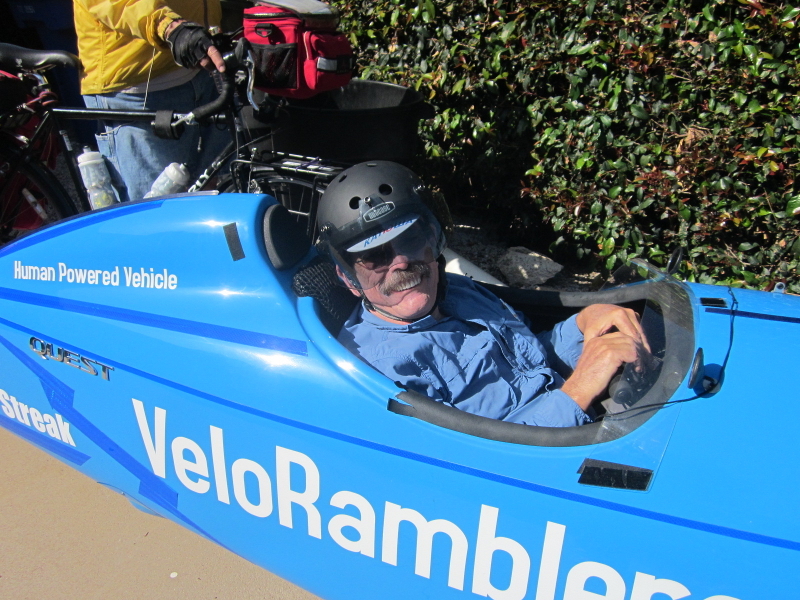 It’s amazing what you can do when no matter how slow you pedal, you won’t fall over. When I got a little winded I would slow down to a slow walking pace and keep going until I recovered. I made it all the way to this summit without stopping. Looking back at Poway Valley from the first summit of the day. Notice the lack of shade? Notice I’m parked under the only slight shade that exists along this road. The sun is high so these little shrubs off the side of the road, barely shade any pavement. What’s not visible in the photo is the nice breeze that blows across this summit.When you’ve just climbed 500 feet in 8 miles, a breeze is welcome. I stood at the top, luring Paul on with a big juicy orange. Don’t even know where I took this. 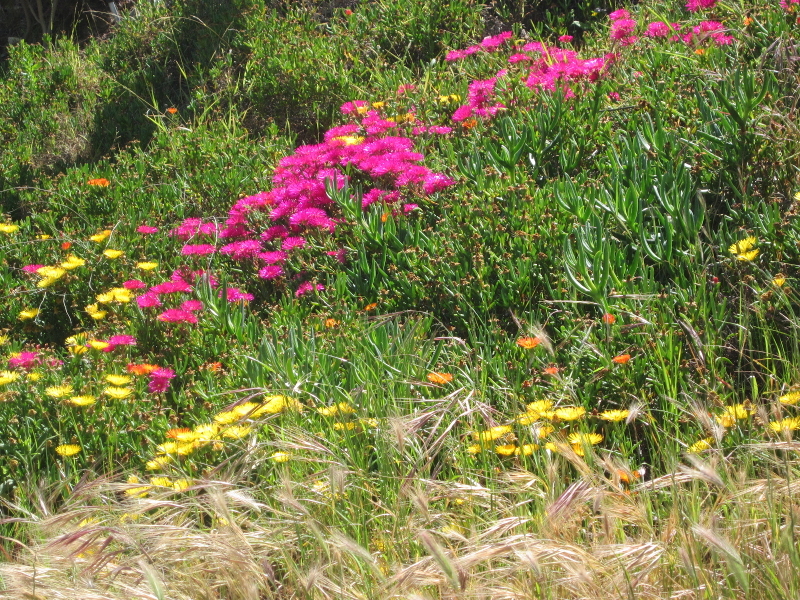 Not native plants, but very festive colors. The shoulder from Scripps Poway Parkway to Mina Del Oro Road was narrow and traffic was pretty heavy. No matter, I just ride the white line. Cars slow down, I’m safer. It’s all good. Of all the cars that passed us going up this hill, only one hollered out the window to “Get off the Road”. 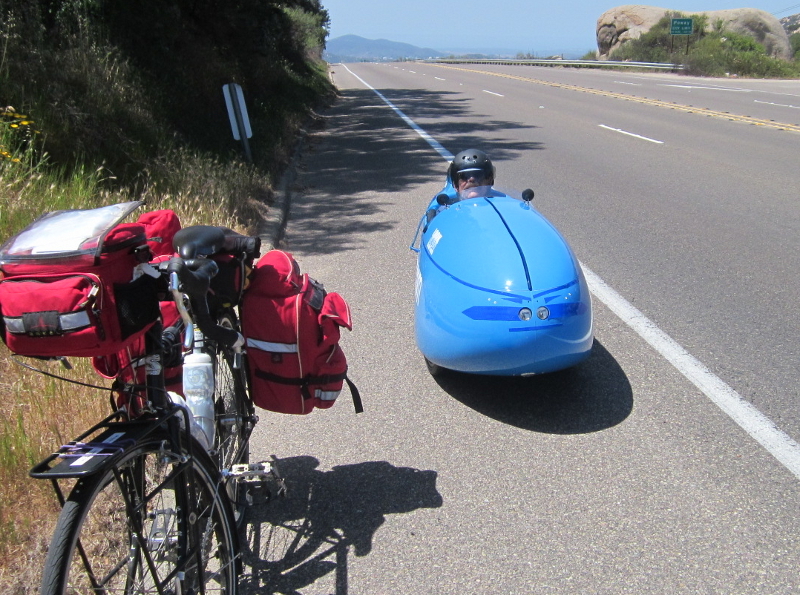 One bicyclist on a super unobtainium bicycle, decided he needed to lecture me about how to ride on the road. Fortunately I was listening to the radio with my ear buds and didn’t hear a word he said. I often wonder what it is that makes people think they are an authority on what is safe for me. 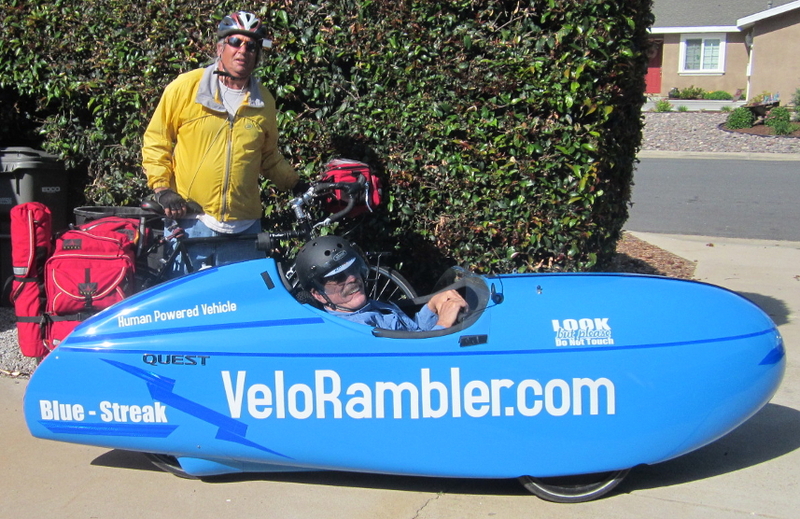 I’ve been riding on roads in San Diego County for more than 30 years. I consider it a healthy safe exercise, and fun too. The shoulder widened out as we started to climb to the second summit of our morning. I think it was just before noon when we crossed over.On a clear day you can see the Ocean from this spot. It wasn’t a clear day. Different strokes for different folks. There’s a bicycle seat for every behind. I was amazed how easy climbing was this day. I did practice for it, riding 4 days in a row the beginning of the week. Finally after nearly a year, I’m learning how to relax on the slogging climbs and enjoy the downhills after. I’m expending less energy on the climbs, and extending my range along the way. I think I’ll be able to do 50+ mile rides again soon. Paul and I are both excited to do another camping trip, maybe 3 days and 2 nights. Need to work out an itinerary. When we arrived at Dos Picos Park we met head ranger Jane and she hooked us up with a hiker biker camping spot near some restrooms and off the main path through the park. It isn’t exactly a secluded spot, but we were away from all the other campers. We were hardly bothered by the other campers a few hundred yards away. After pitching our tents we stashed our gear and headed into town for groceries. Picked up some onion, bell pepper, potatoes and a small can of beans. I made a hobo stew from the ingredients, added bouillon cube and a little rice . We gobbled it down. 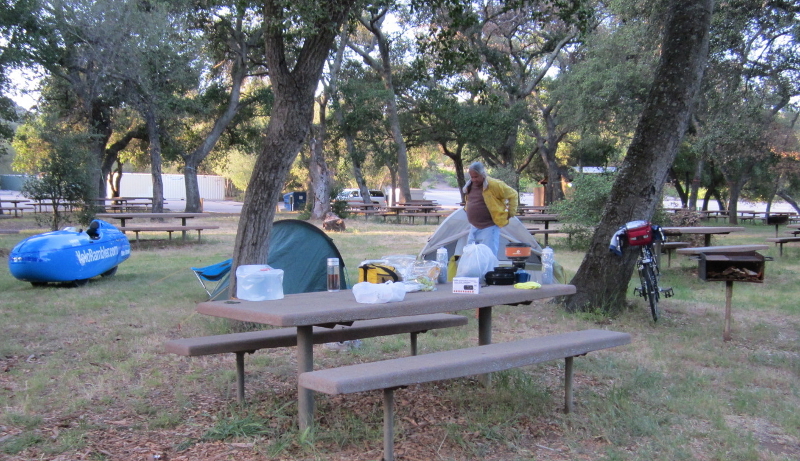 In this image you can see the main campground many yards away. If you can make out an orange dome tent to the left. We were camping under the canopy of ancient oaks. Couldn’t ask for a nicer place to camp. We had a great time. Perfect antidote for the daily the daily trials and tribulations. Look forward to the next escape.